Joey Shema of Wauseon knocks in a run during a game last season. He returns for the Indians after making second team All-NWOAL in 2018. 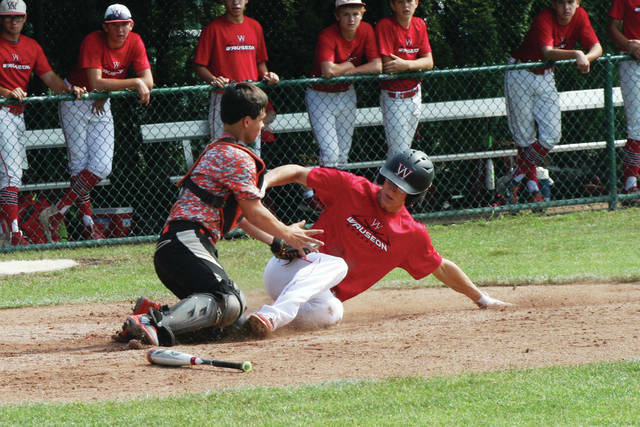 Connar Penrod of Wauseon slides in safely for a run in an ACME baseball game last summer. He lettered as a freshman for the Indians a season ago. 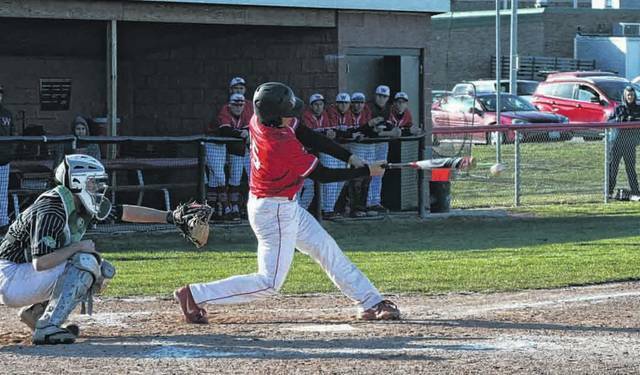 The Wauseon baseball team looks to have a winning season in 2019, and the return of seven letter winners should help them achieve that goal. Wauseon was 9-12 overall last season with a 3-4 mark in the Northwest Ohio Athletic League. They finished in a three-way tie for fourth in league play. Leading the list of returnees for Wauseon are Joey Shema and Sean Brock. Shema was second team All-NWOAL a season ago, while Brock was second team all-league and honorable mention all-district. Also returning are Eric Parker, Trent Armstrong, Levi Krasula, Trevor Rodriguez and Connar Penrod. Promising newcomers for the Indians include Cody Figy, Jaden Conrad, Jameson Gray and Ethan Glover. Strengths for the season are their seven returning letter winners and team depth, according to Thomas. They will look to improve on pitching at the front of their rotation, as well as getting youth at key positions up to speed quickly. The Indians have to replace honorable mention all-league and all-district performer Everett Bueter. They have also lost Brooks Gype, CJ Moser, Carter Stump and Justus Chapa. The NWOAL will be a deep league this year according to Thomas, but one team stands out above the rest. Wauseon hosts Defiance Saturday at 1 p.m. to kick off the season.